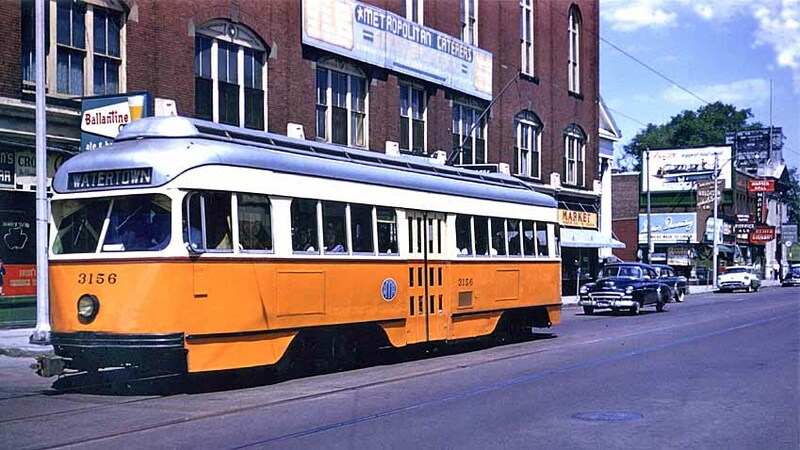 The Brighton Center Commercial Area is one of the most historically significant areas within Allston-Brighton. 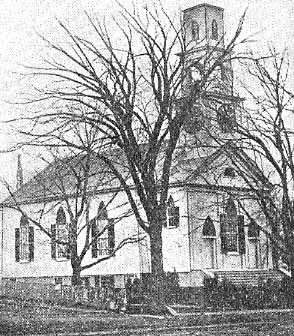 The northeast corner of the historic Washington and Market Street cross roads became the focus of the community's educational and religious life as early as the second quarter of the eighteenth century with the establishment of the first school in l722 and the first meetinghouse in 1744. 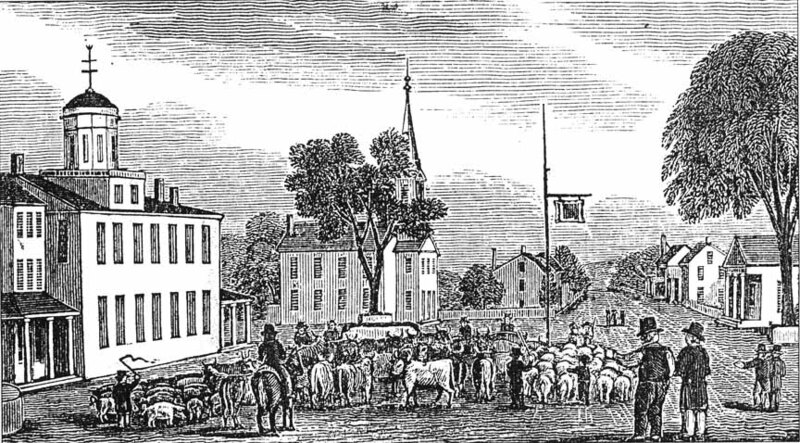 Between c.1790 and 1820, Brighton Center's fortune's were on the rise, becoming the seat of town government for the new town of Brighton in 1807 and a major agricultural center with the establishment of the fair grounds of the Massachusetts Society for the Promoting of Agriculture in 1818. 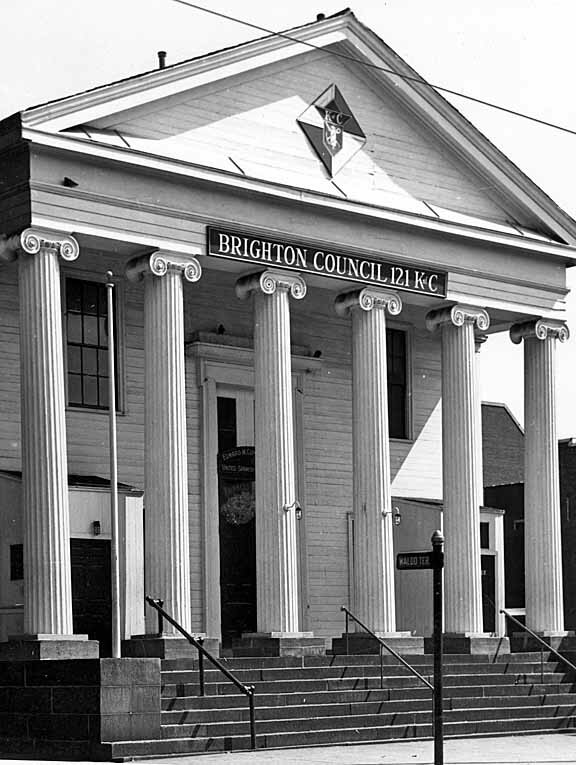 By the 1830s, Brighton Center contained a social library, fire house, town hall, two churches, and a post office. Commercial concerns encompassed a harness maker's shop, wheelwright shop, blacksmith shop, bank, three general stores and a tavern. 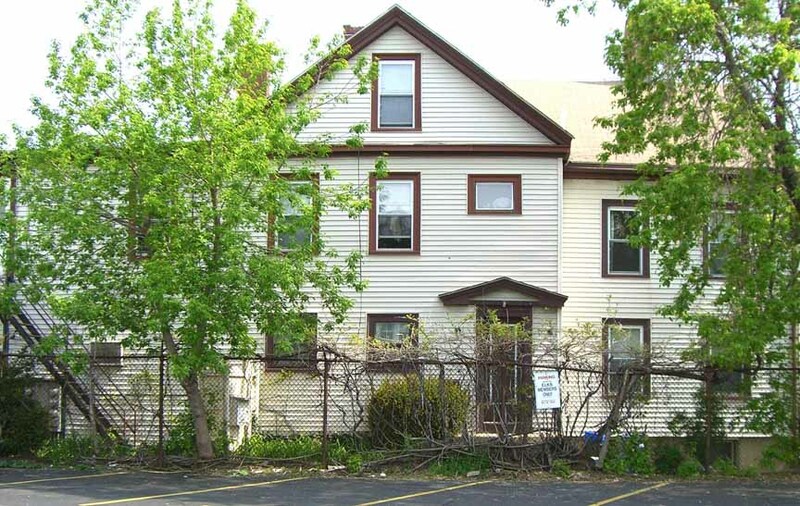 Additionally, a half dozen private homes lined Washington Street at Brighton Center. 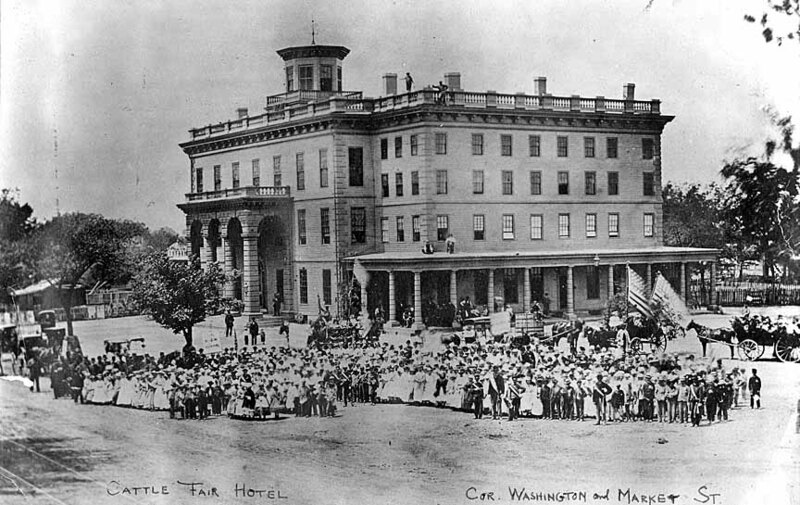 The Cattle Fair Hotel was Brighton's most visible symbol of the town's lucrative cattle industry. 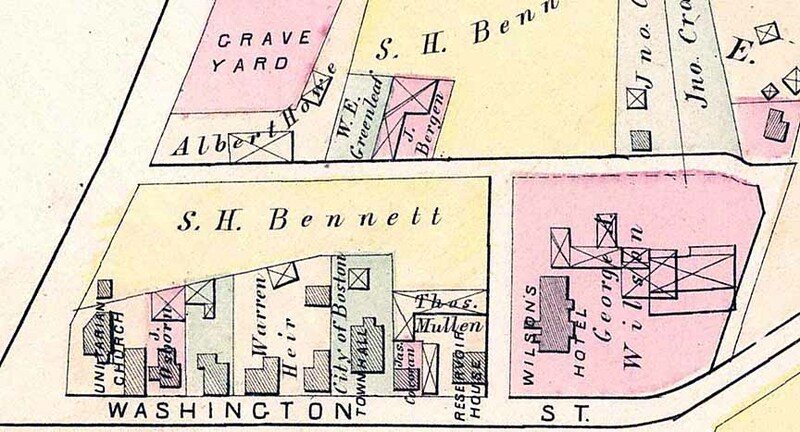 The construction of Cambridge Street and the River Street Bridge in 1810 and Brighton Avenue in 1824 linked Brighton Center more closely with Cambridge and Boston. 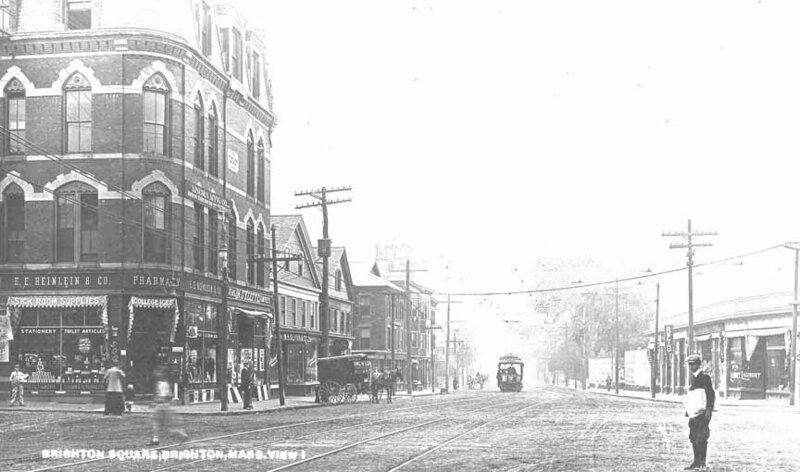 During the 1820s and '30s, these new roads provided access to persons doing business with Brighton's thriving agricultural concerns. 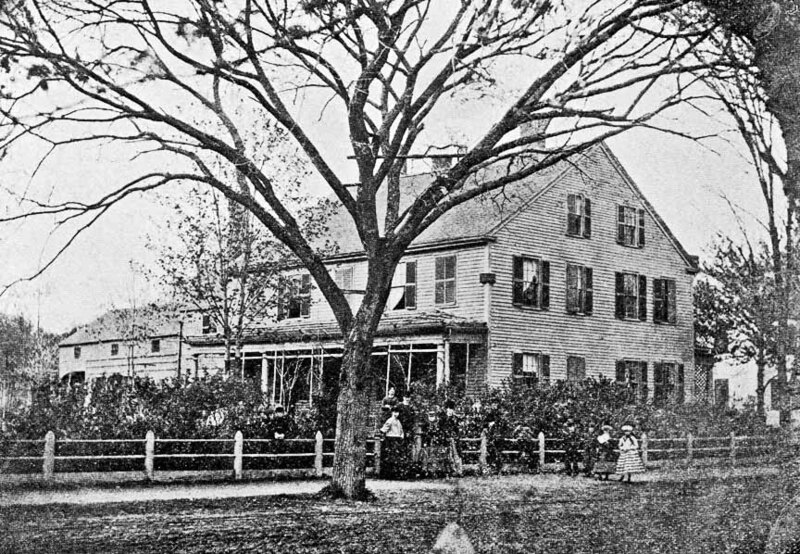 Eminent visitors such as Ralph Waldo Emerson, Daniel Webster, John C. Calhoun, Henry Wadsworth Longfellow and William Cullen Bryant traveled through Brighton Center on their way to the nurseries of Joseph L.L. Warren's Nonantum Vale Gardens, Jonathan Winship and Joseph Breck. 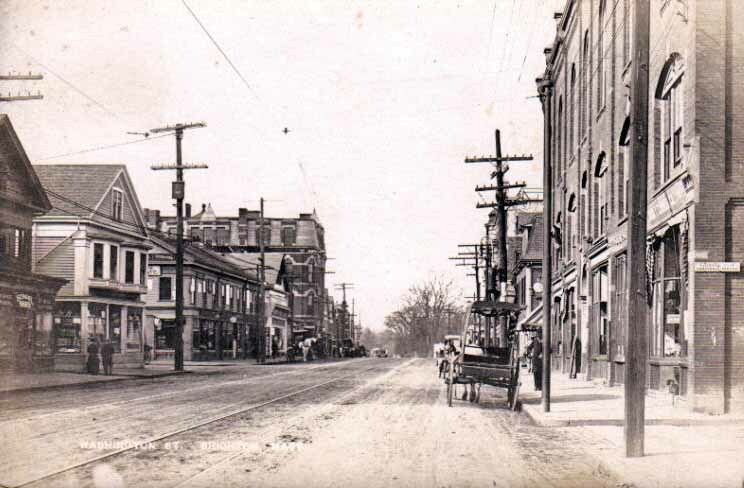 The 1910s and 1920s witnessed the final phase of Brighton Center's transformation from a village of wooden structures to a more urbane town center of masonry commercial buildings. 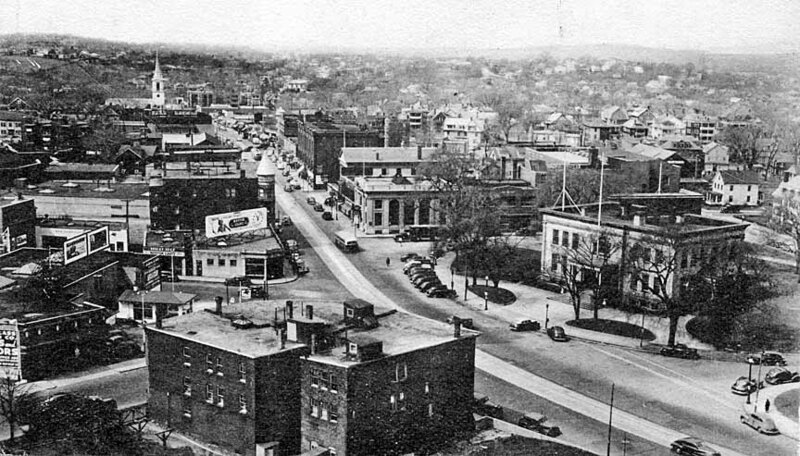 This wave of construction activity was triggered by the advent of the automobile trade and the ambitions of Italian, Jewish and Irish entrepreneurs who operated grocery, clothing, hardware and other businesses in the new one to two story Classical Revival, Georgian Revival, Tudoresque and Tapestry Brick commercial blocks. 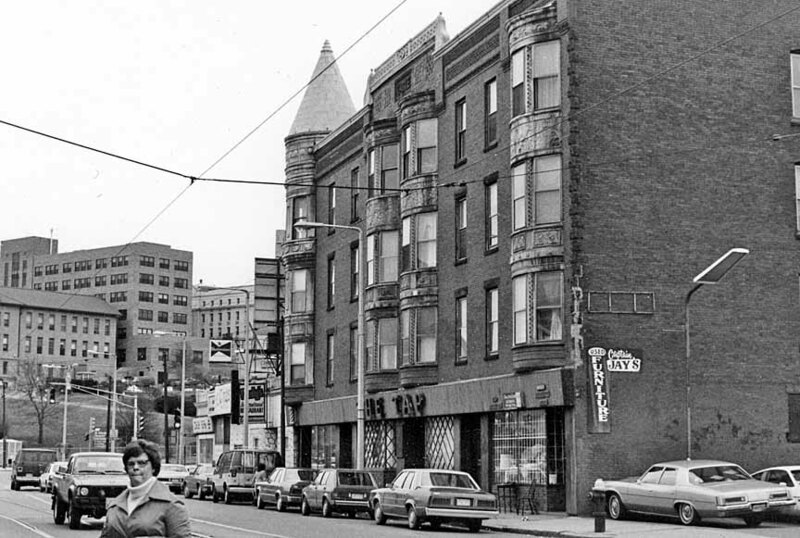 The demolition of the Cattle Fair Hotel at the turn of the century opened the north side of Washington Street, between Parsons and Market streets for development. 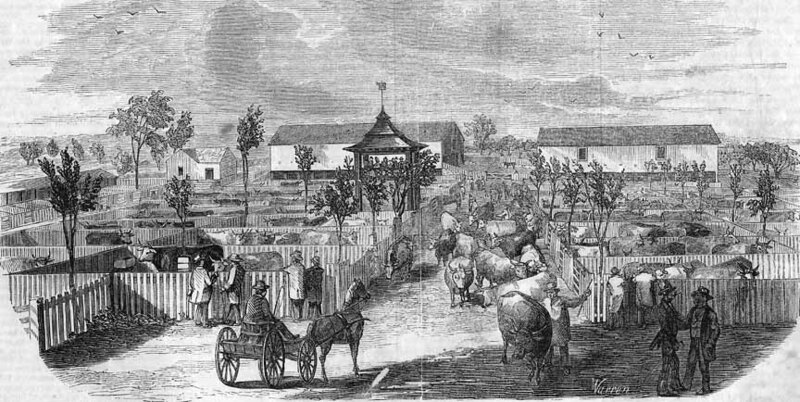 Cattle Yards in Brighton Center (c1850) behind the Cattle Fair Hotel. 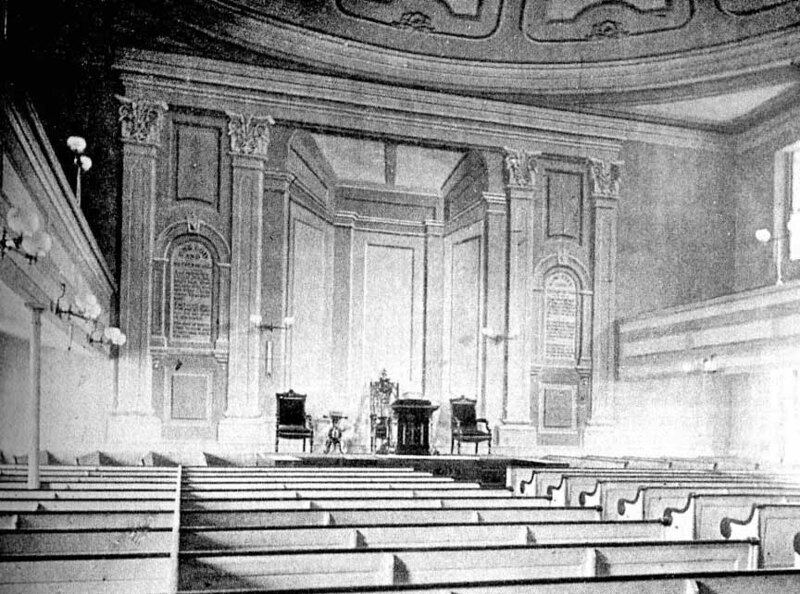 The raised structure in the center was the auctioneer's platform. 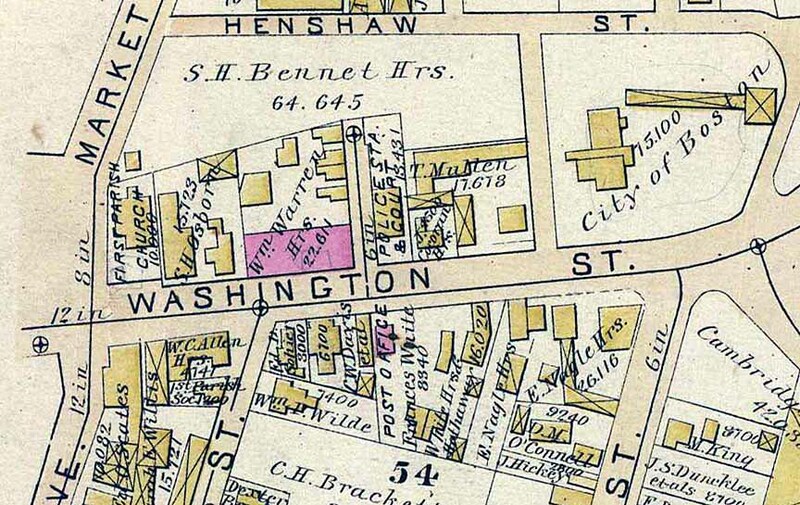 1875 Map#2 showing the Osborn home (see below) next to the Unitarian Church at Market and Washington St. Also, note the Wilson Hotel which was removed to nearby Henshaw Street where it was converted into a private residence. 1885 Map. Note the Osborn property size has increased, Warren building now exists (purple), the Police Station in the Town Hall building and the Post Office opposite the Police Station. 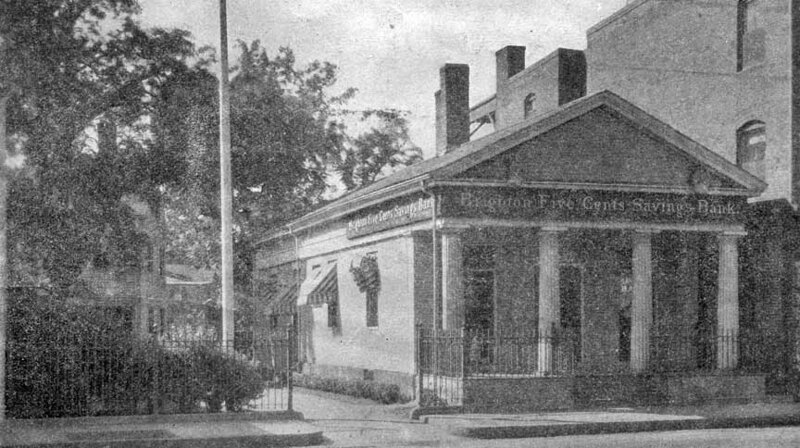 This Post Office was replaced by the current Post Office in the 1950s. 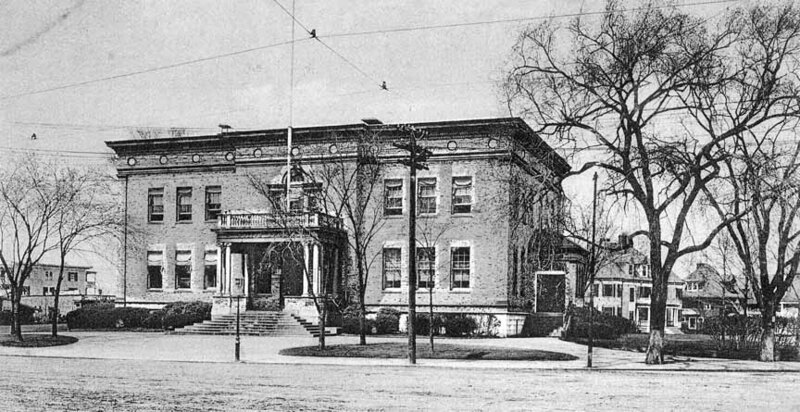 The current Police Station was built in the 1890s. 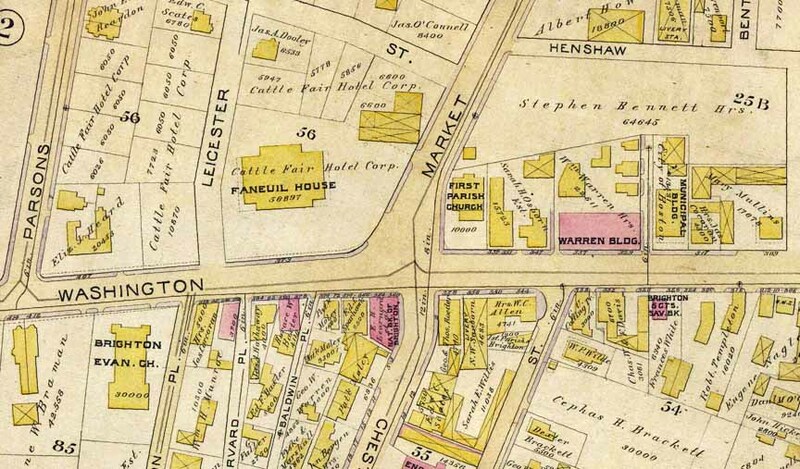 1895 Map of Brighton Center with the First Parish Church pictured below near the center. 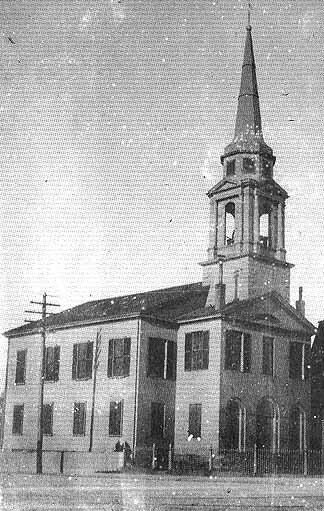 Brighton Evangelical Congregational Church building built n 1827 at 404 Washington St when more conservative parishioners broke away from the First Church. 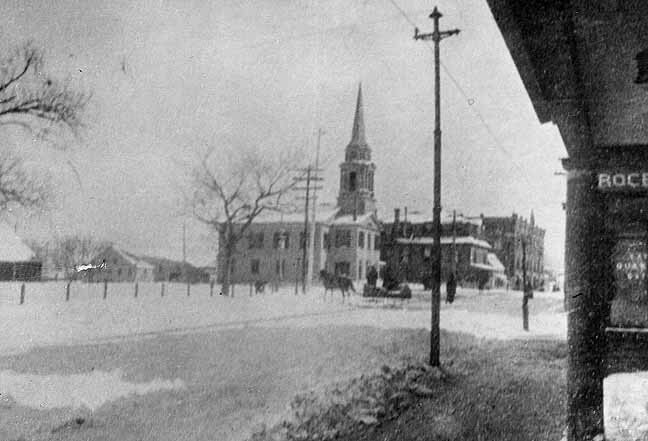 This photo and the ones that follow track the different buildings used by the church at the same location known. 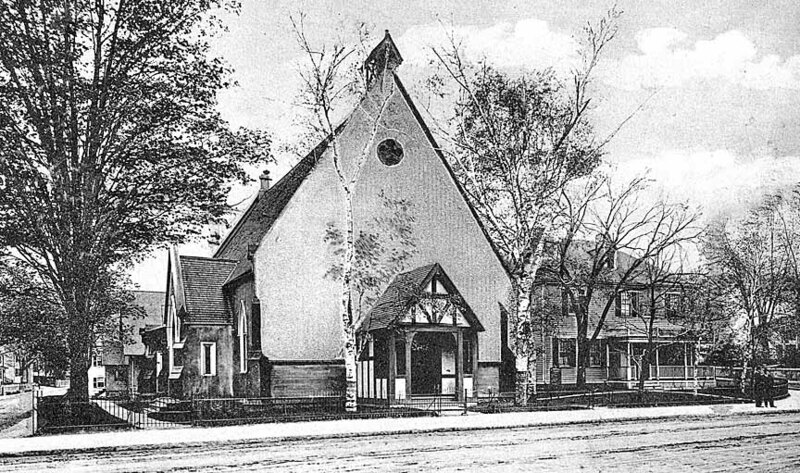 Today it is known as the Brighton Allston Congregational Church. 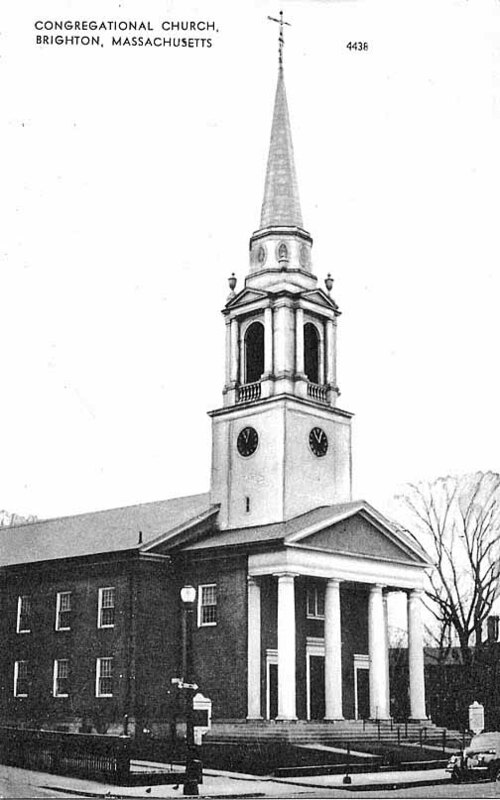 The current Brighton Congregational Church in the 1940s. 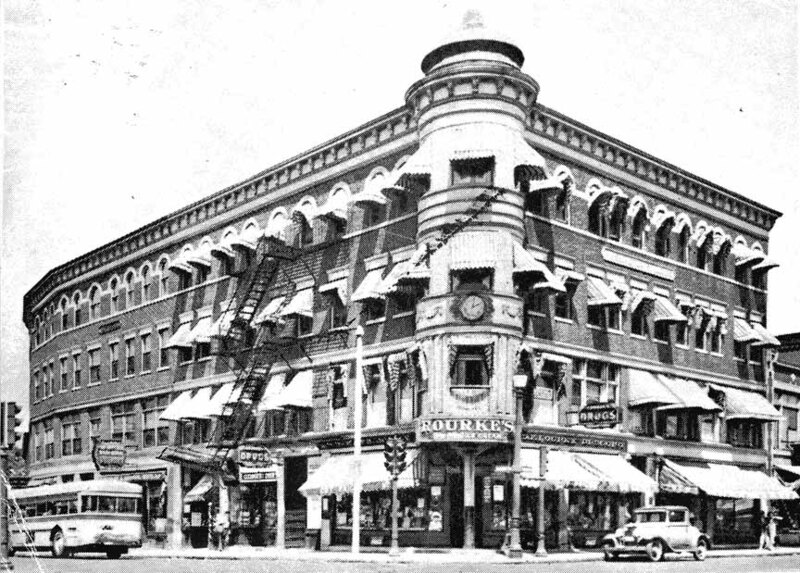 This building was constructed in 1921. 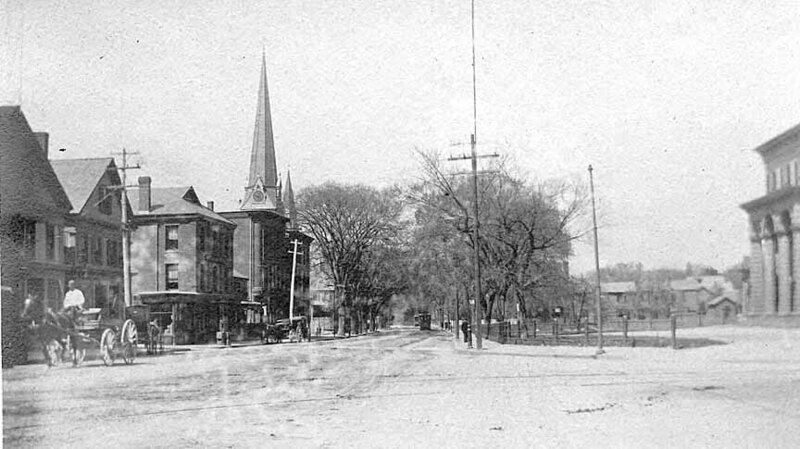 1920 Looking West From Market St. 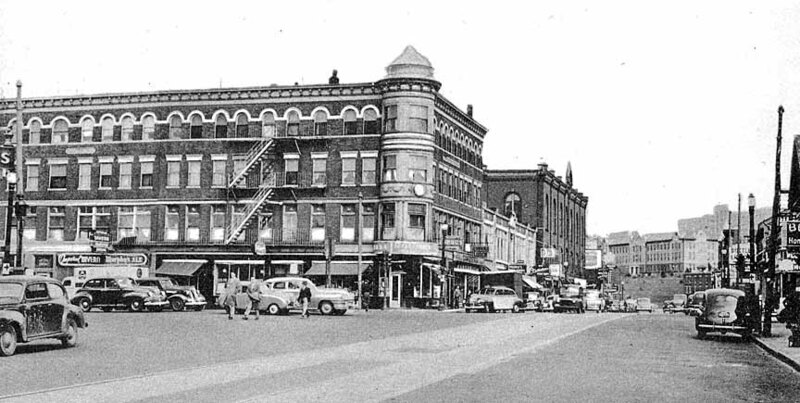 The commercial block on the right is new replacing the Cattle Fair Hotel. 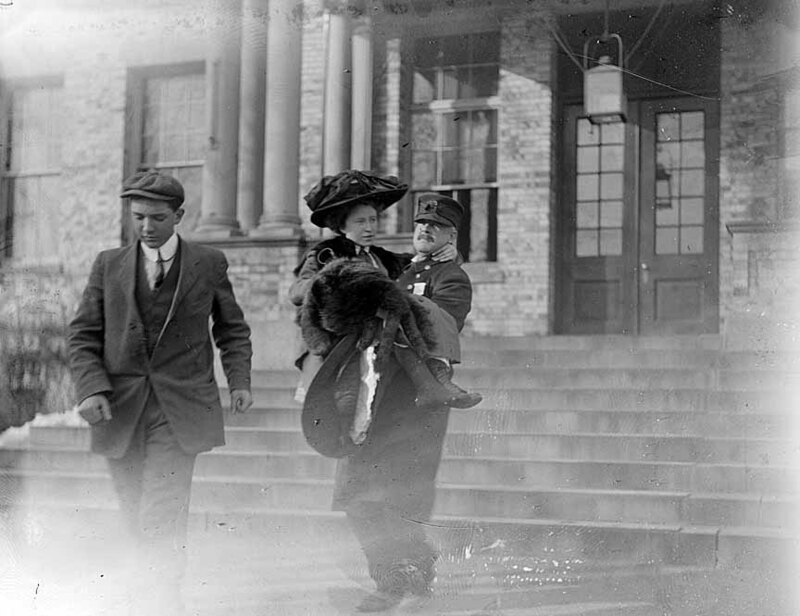 Close up of the above 1911 photo. 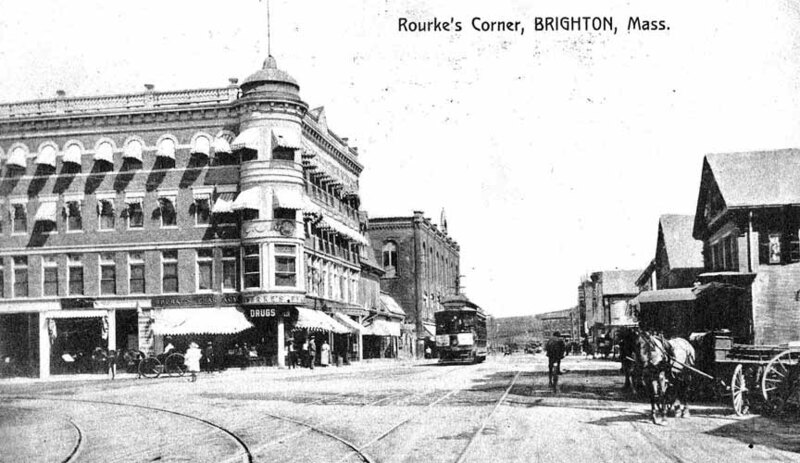 The building on the left was previously the home of the National Brighton Bank. The sign at the entrance for "College Ices" refers what we call a Sundae today. 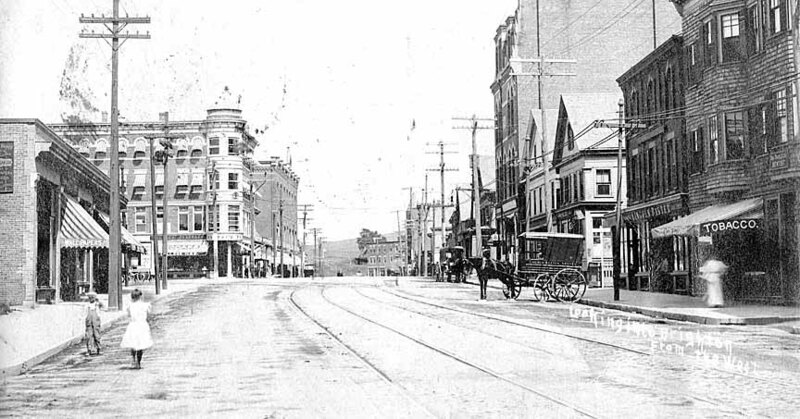 1890 Looking West From Market St. Cattle Fair Hotel on the right. 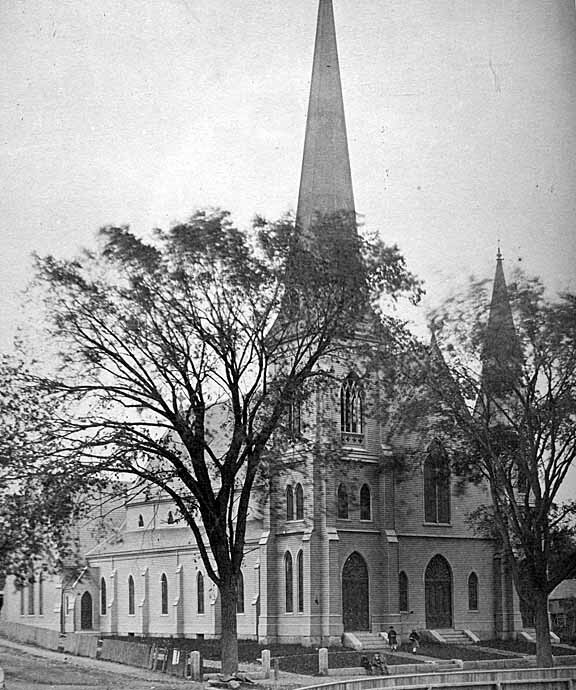 The steeple to the left of center belongs to the 1868 version of the Brighton Evangelical Congregational Church (see above). 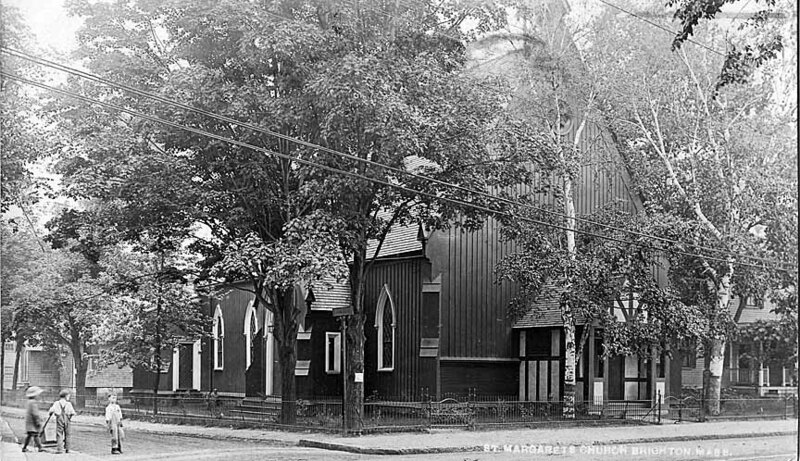 St Margaret's Episcopal Church with Eastburn St on the left and Foster St on the Right. St Margaret's was built in 1964 and demolished in the late 1970s. 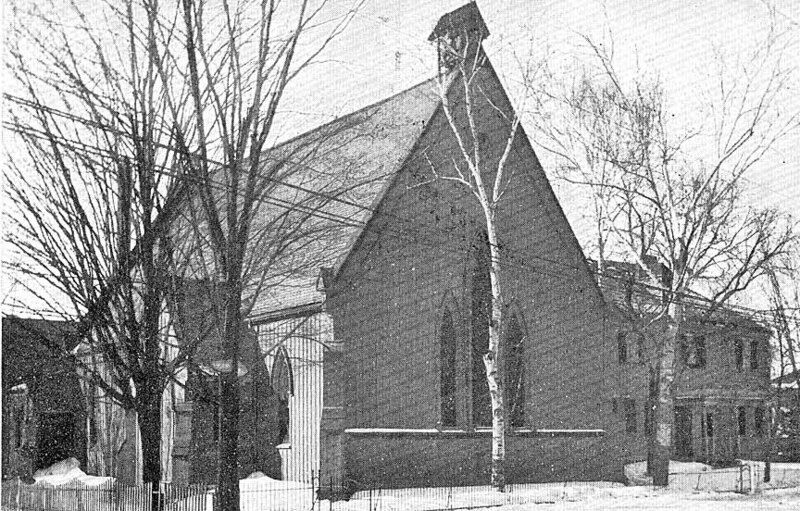 The building to the right was the parsonage/parish hall for the church and is now a private residence. 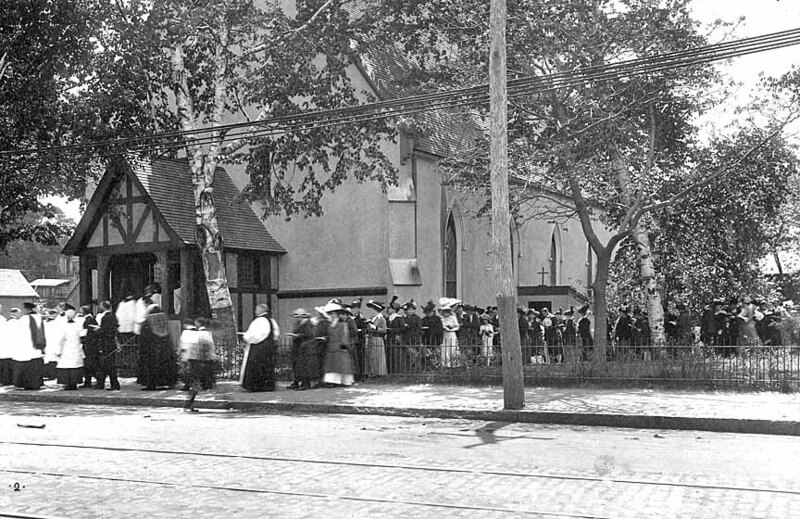 This church still had windows facing Washington St when this photo was taken. 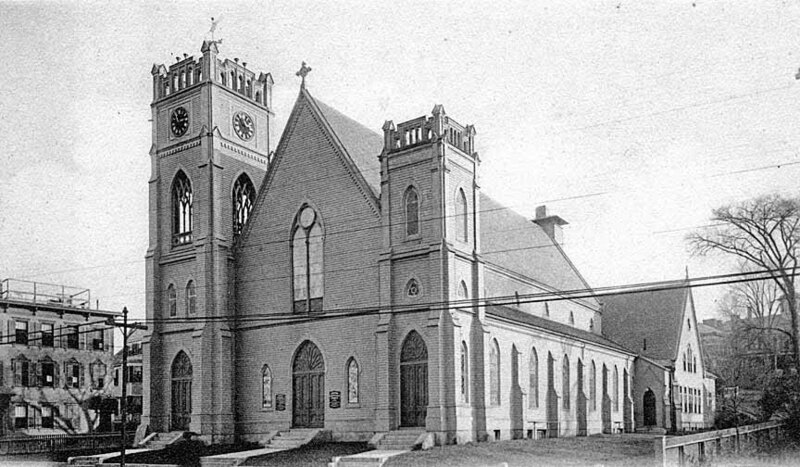 The front of the church after being covered by stucco. 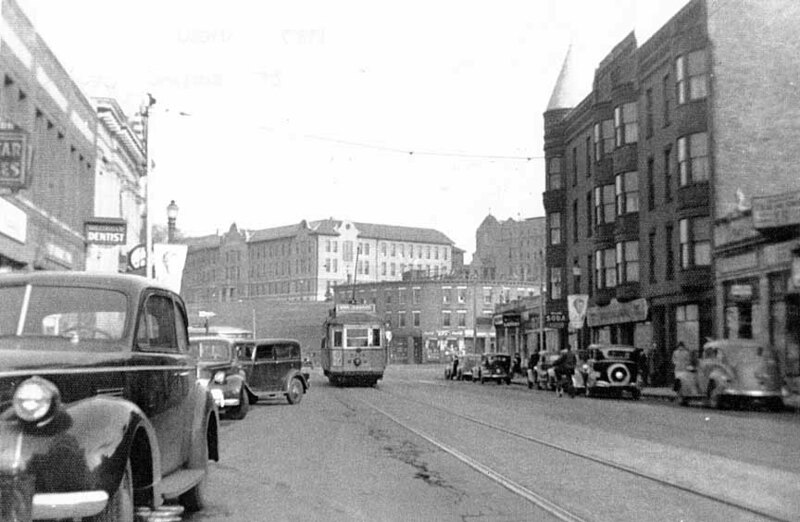 Esso station at the corner of Foster and Washington St. Next to that is Horrigan's Market which was a popular grocery store for many years. 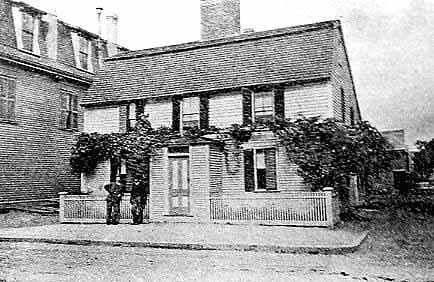 The Noah Worcester House c1900 at the Northwest corner of Foster and Washington Streets, built c1680, was the residence of the founder of the America peace movement and Brighton's first post office established in 1817. 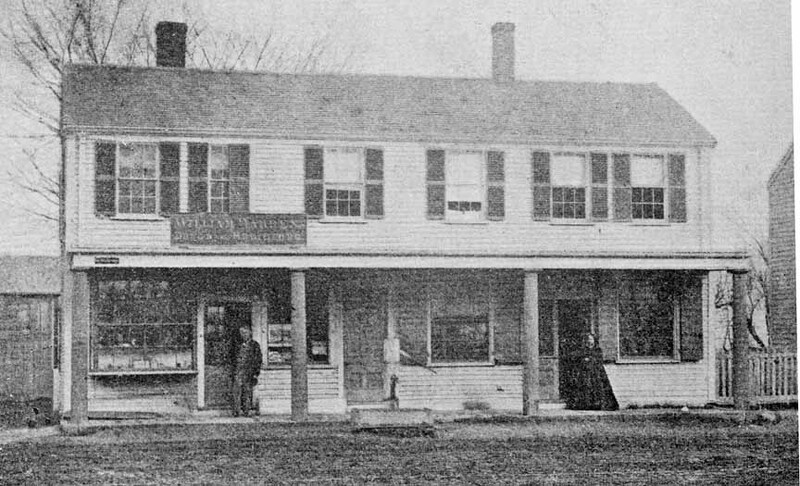 The Baldwin & Murdock grocery store, Brighton's oldest store, was established in 1811 at 343 Washington St. 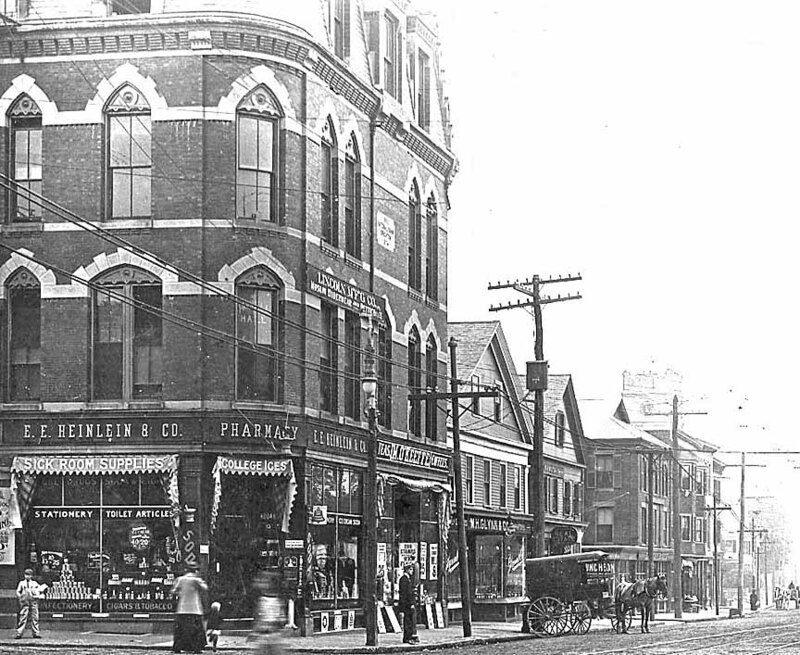 In 1830, the store was acquired by William Warren who converted it into a combination drug store, grocery and depot for the sale of school supplies. 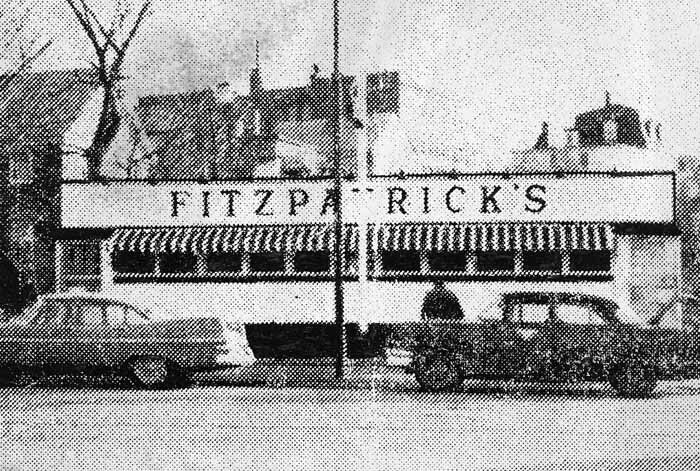 It is said to be the oldest established business in Brighton. 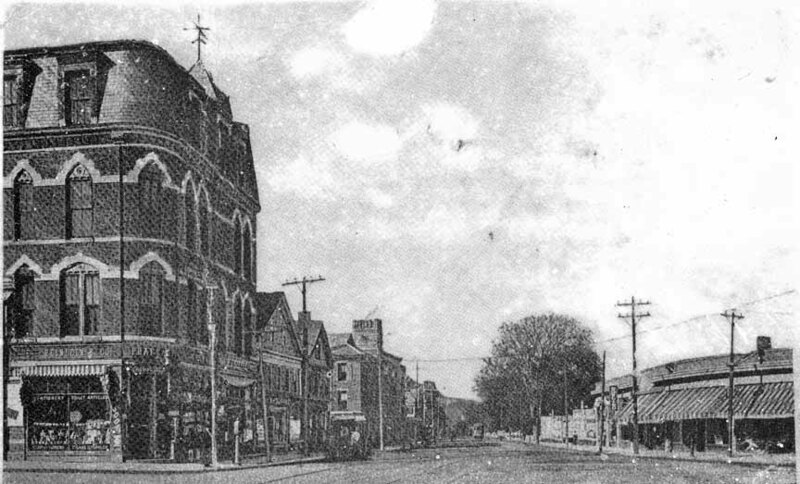 In 1879, the present Warren Building was constructed on this site. 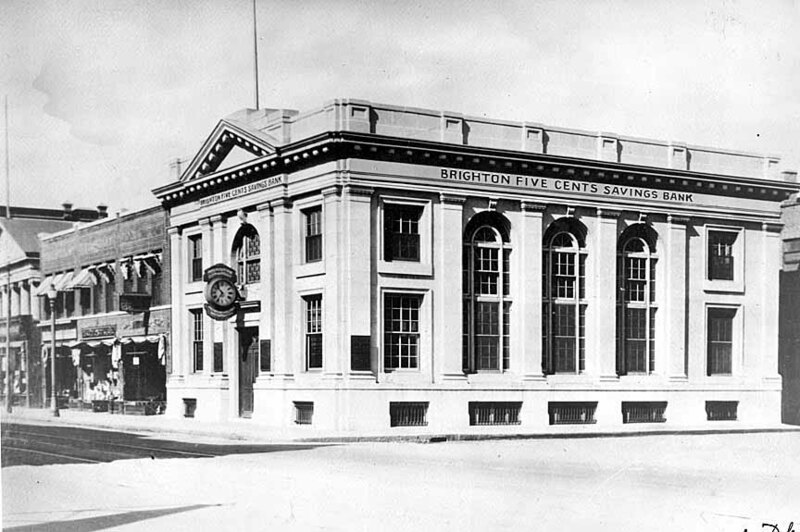 The Brighton Five Cents Savings Bank and Brighton Bakery at 326 and 328 Washington St with an array of workers and horse drawn carriages engaged in their daily activities. The bank had its headquarters here (see map above) opposite the Town Hall until 1926. 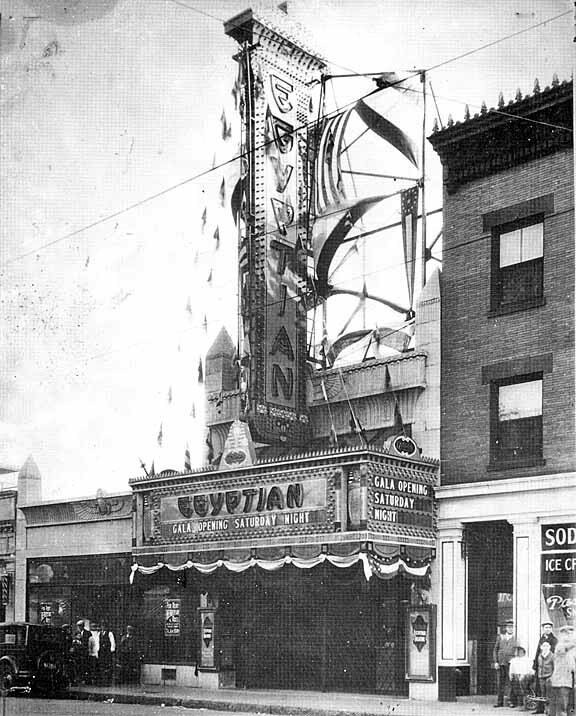 These building were demolished in 1929 to make way for the Egyptian Theater. 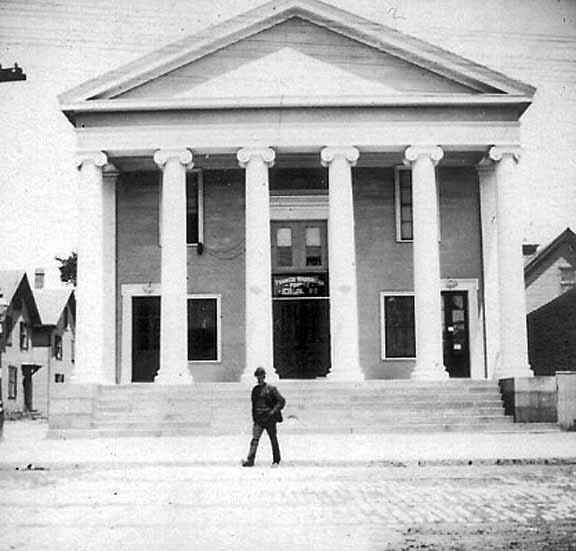 Brighton's Greek Revival Town Hall at 321 Washington St at the corner of Washington and Waldo Streets. 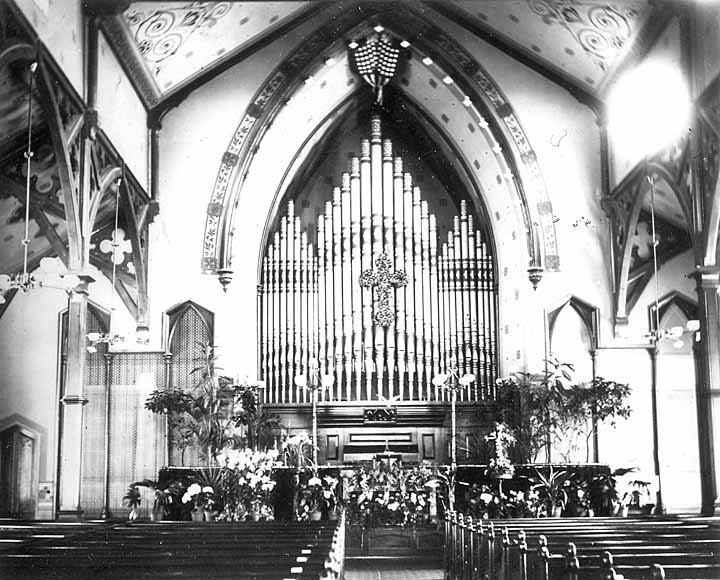 It was built in 1841 by master carpenter Granville Fuller, designed by architect Richard Bond and reflects the town's prosperity in the pre-civil war era. 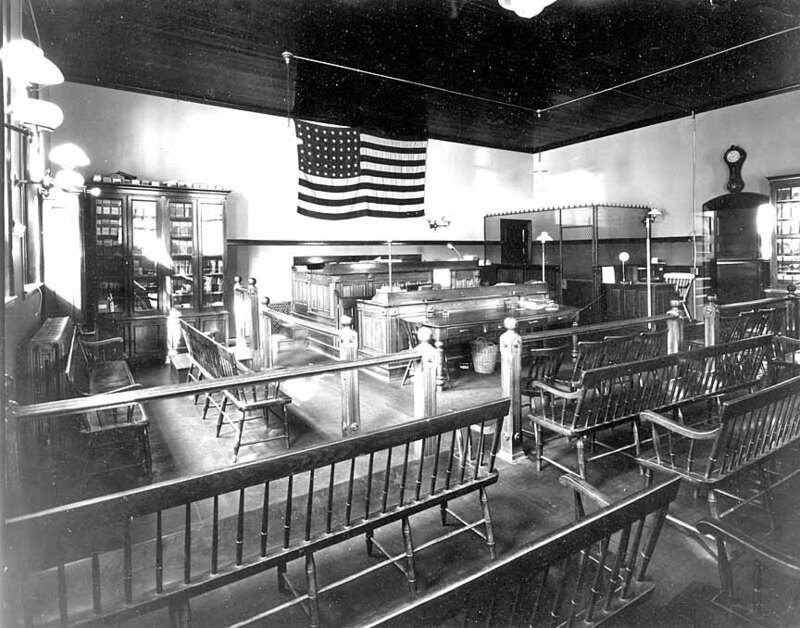 After Brighton's annexation to Boston, the building served as a local courthouse and jail. 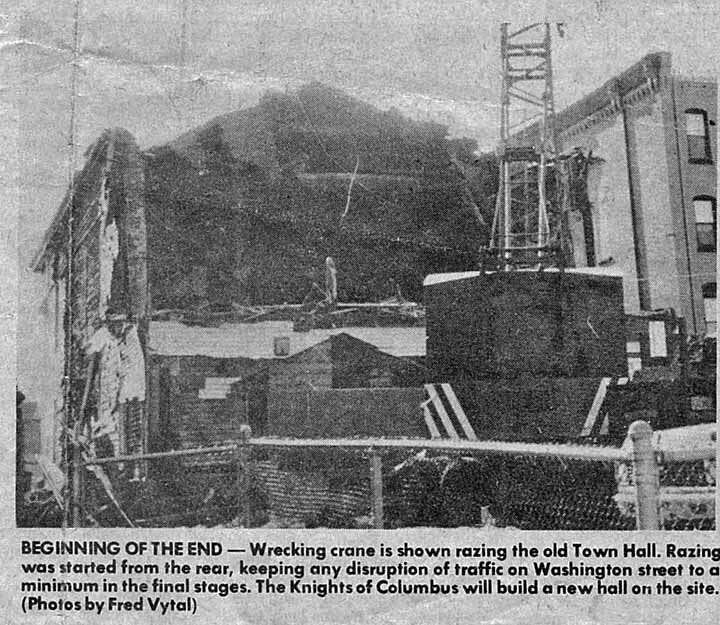 It was acquired by the Knights of Columbus in the 1960s and was destroyed by fire in 1977. 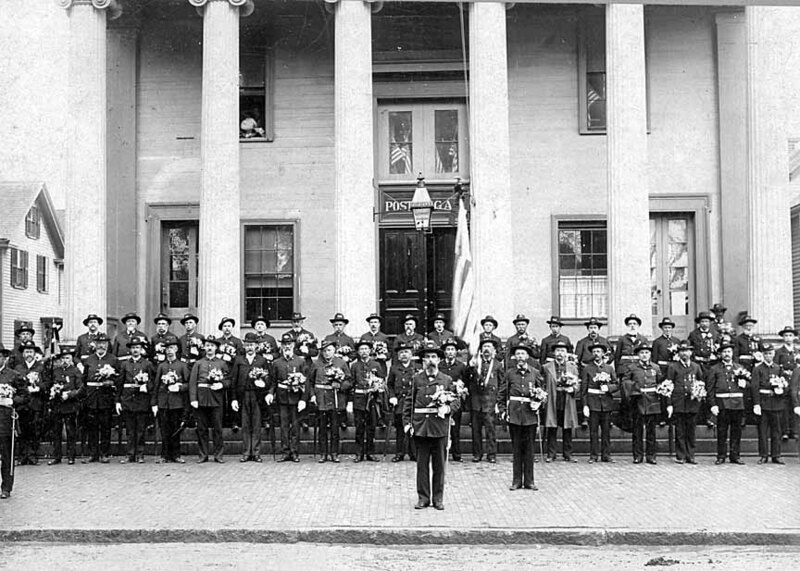 Before the new police station was built in the 1890s, Brighton Station 14 was housed in the Town Hall. 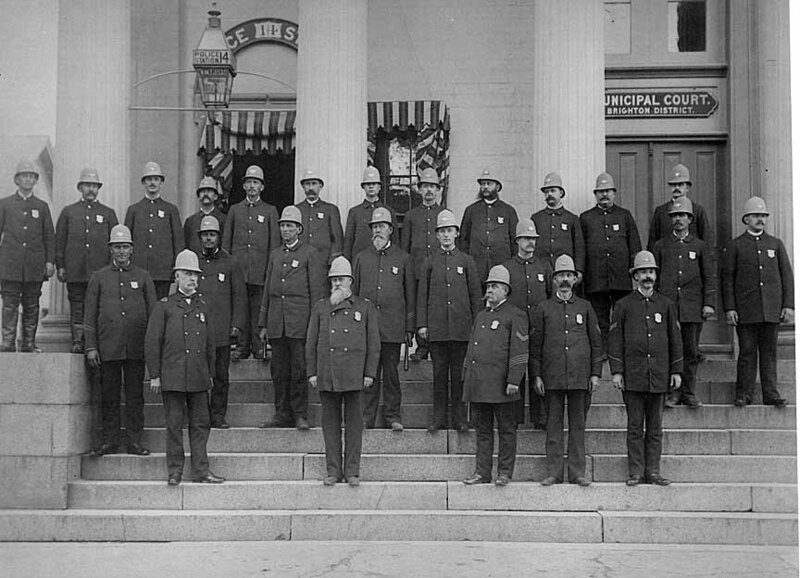 The Police force are pictured above. 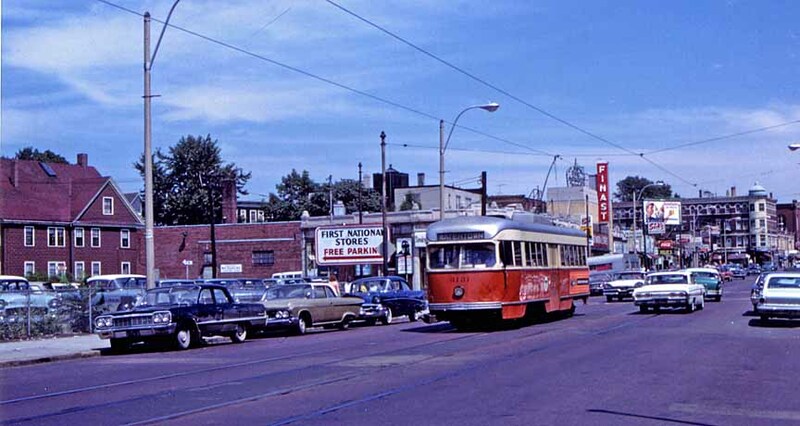 Note the Police Station 14 sign on the left. Warren Hall c1980. 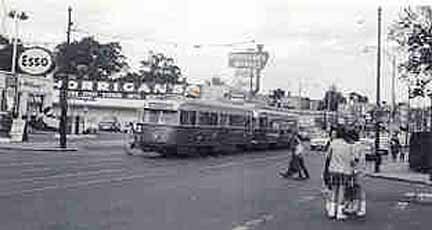 The Doors played here in 1967 in a short lived rock club called the Crosstown Bus. 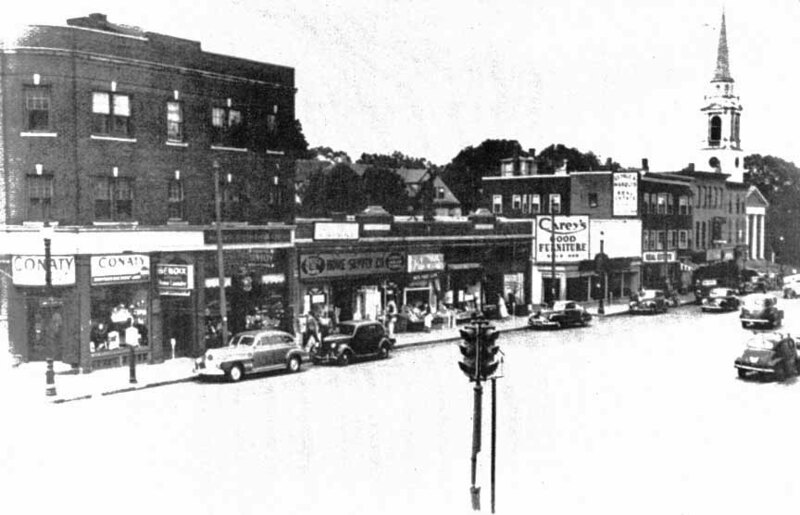 Gertrude Ellis remembered in a 1971 oral history interview that "Warren Hall in Brighton Center used to be rented for dances, entertainment and the like. 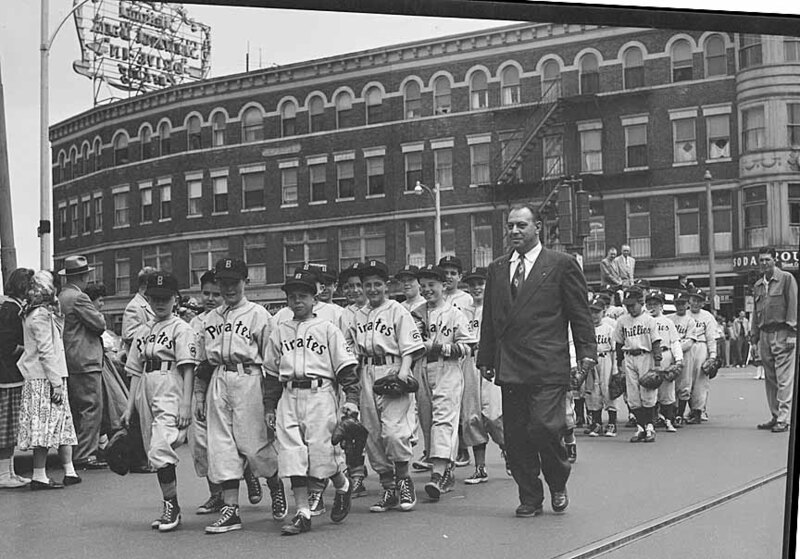 I remember going there for free ice cream on the Fourth of July, which I think was furnished by the city for children". 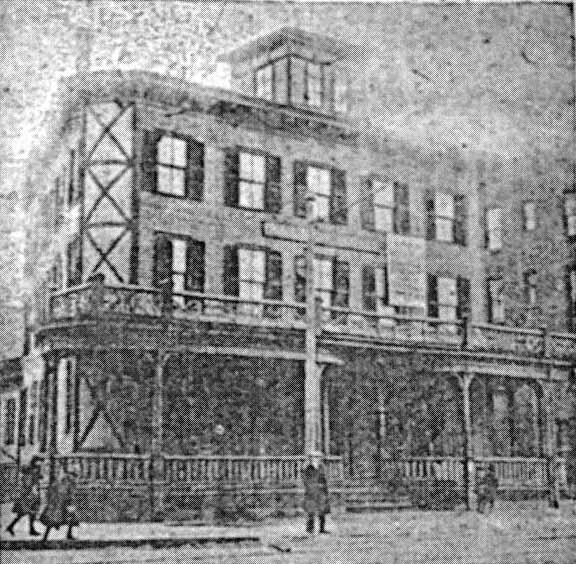 Nagle Hotel in 1922 at the corner of Washington and Winship Streets. 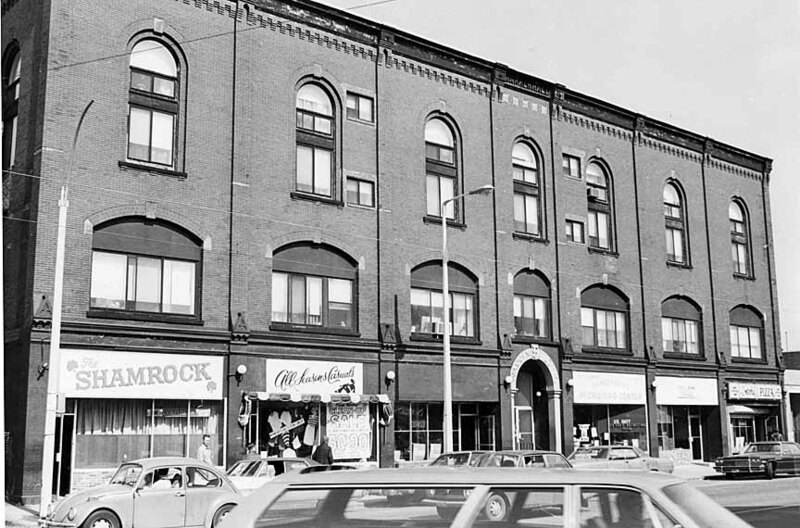 The Nagle building c1980 which was to the right of the Nagle Hotel. 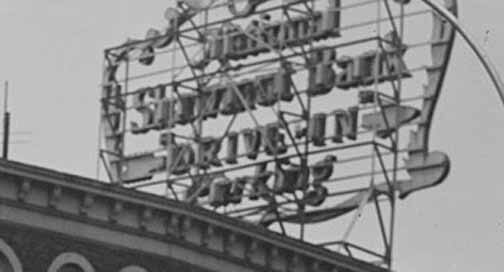 The word "Nagle" can be seen at the top between the bay windows over the "Tap" sign. Built in 1892, the Nagle Building at 300-310 Washington Street is a fine example of a Queen Anne commercial/residential block. 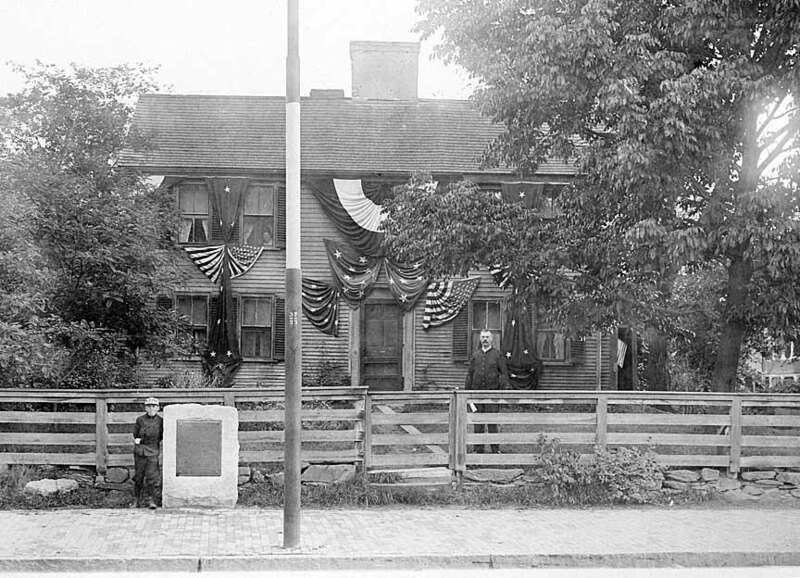 As early as 1875, this site was occupied by 4 small wooden buildings which were evidently associated with Nagle's Hotel which stood at the northwest corner of Winship and Washington streets. 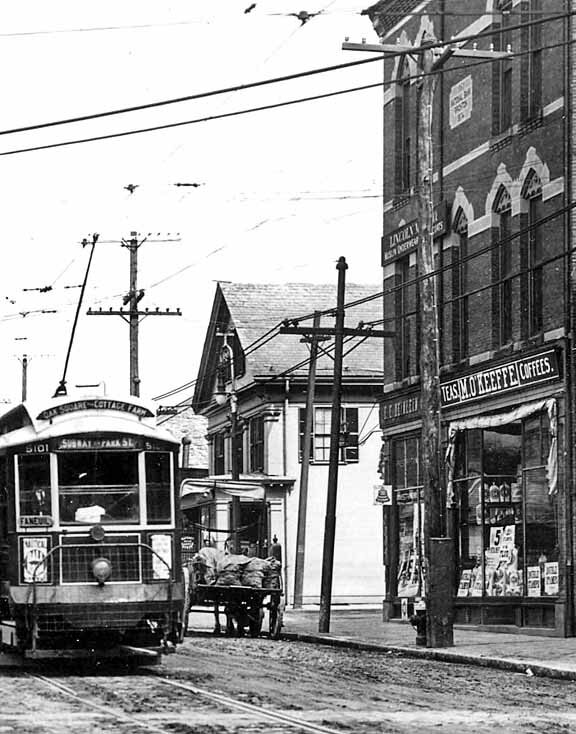 By 1930, the Nagle Building housed Ryan Brothers Fruit (302), Arthur I. Russell, plumber (304), Brighton Center Pool Room (306) and Mrs. Fannie Dreyer's Variety Store. Tenants in the upstairs apartments were of Irish, Italian, French and German stock. The Winship Mansion, built by Jonathan Winship II in 1780, stood on the site of the present District 14 Police Station. 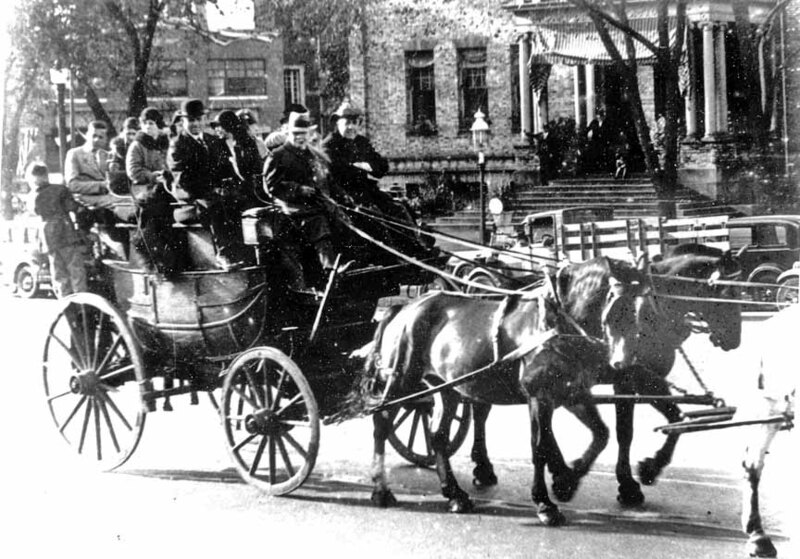 The Winships were the founders of the Brighton Cattle Market. 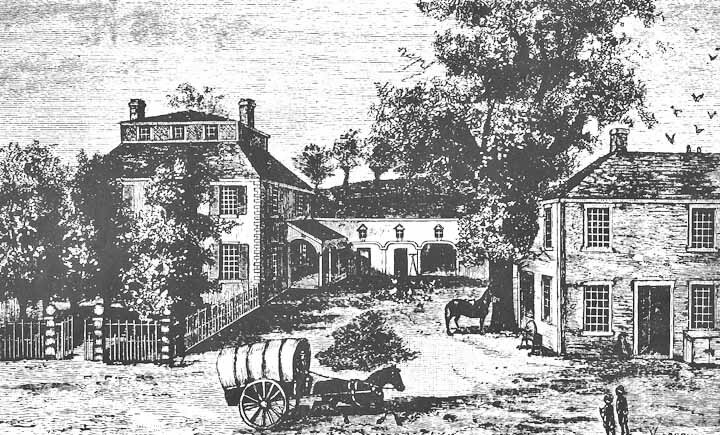 In 1820 the mansion was sold to Samuel Dudley, who expanded the building, converting it into the Brighton Hotel. 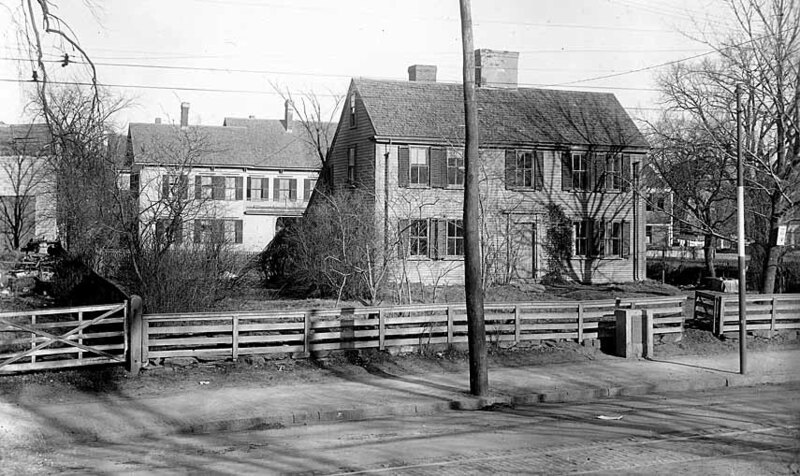 The building stood at the center of an extensive estate that spread north and south of this locality, much of it previously the property of Ebenezer Smith. The Winships resided here for forty years. 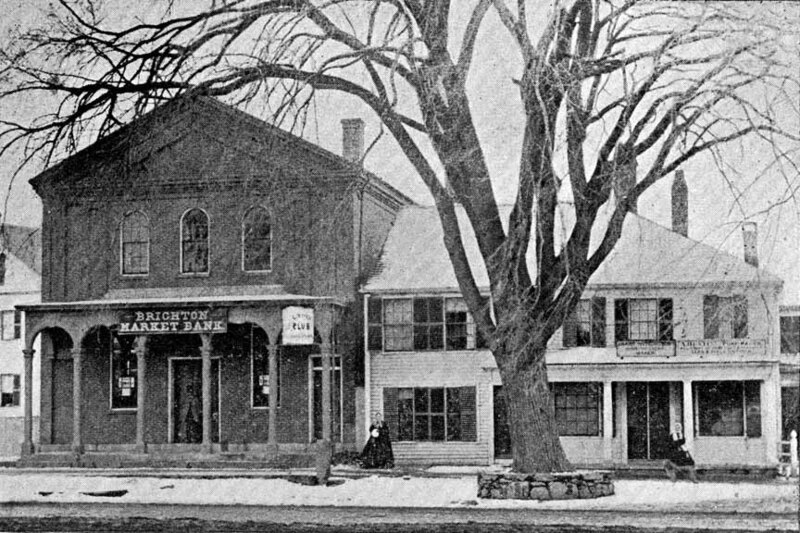 It was here that General Lafayette stayed while visiting Brighton in 1826, on the nation's 50th anniversary. Brighton Hotel which was located at the current site of the Police Station. 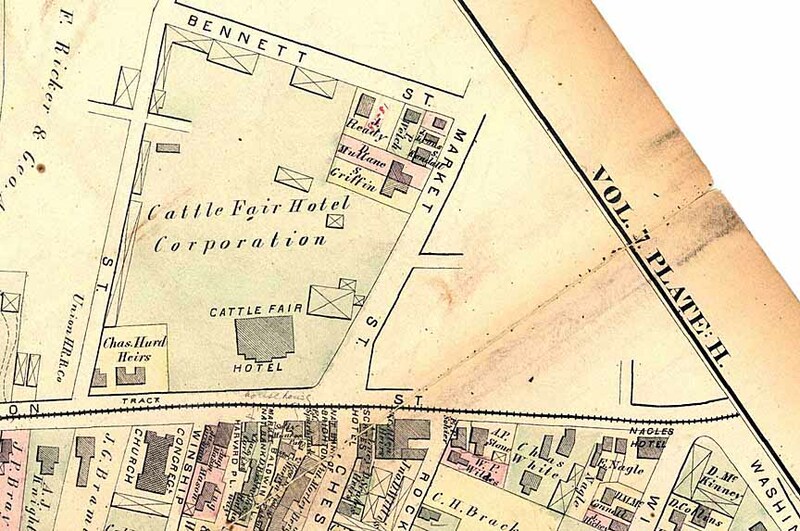 This was the town's largest hotel before the Cattle Fair was built in 1830. 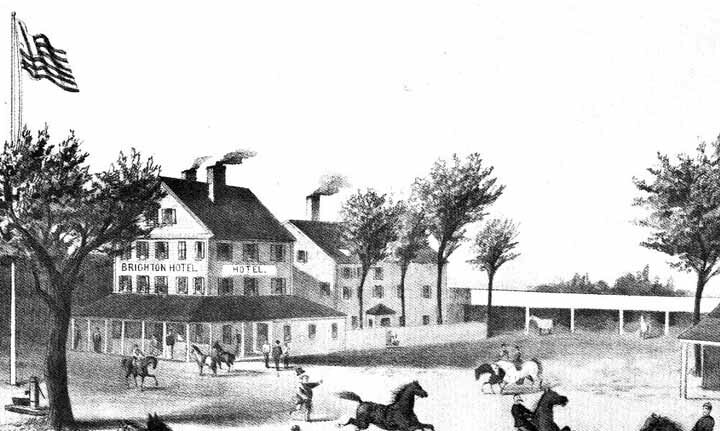 In 1824, General Lafayette visited the Brighton Hotel during his fiftieth anniversary tour of the United States. 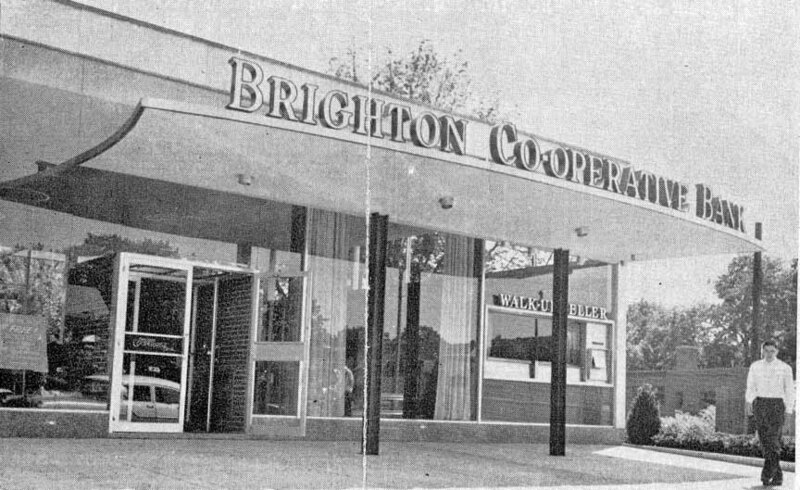 Dennis Minihane remembers Brighton Center: "They had quite a few stores. 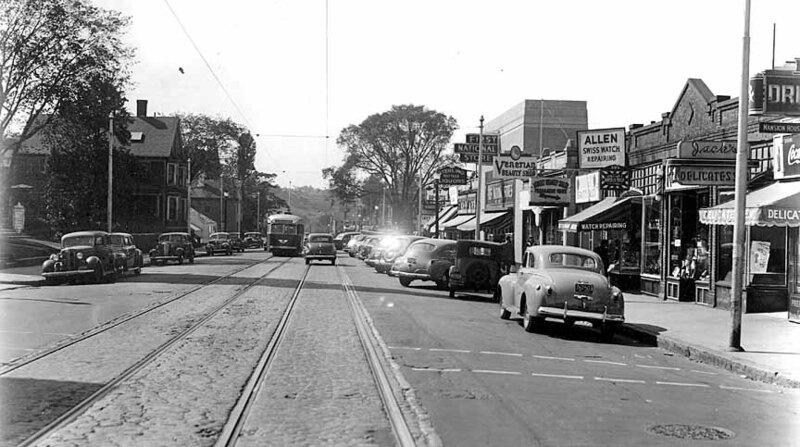 I remember the Woolworth’s, Meikle’s Bakery, there was a fish store, Heinlein’s drug store, Rourke’s Drugstore on the other corner, and Kelly’s had a drugstore [ed. 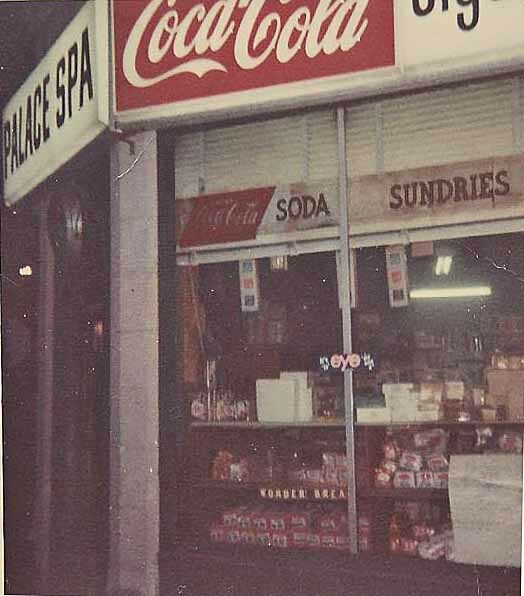 at Washington and Leicester streets] ... And there was a little spa on the corner of Parsons and Washington called Joe the Greek’s, and later it became the Palace Spa, run by the ex-manager of the A&P, Roland Newton. And there was the First National Market, Betty Bowen’s Dress Shop, you got to know the local barber, and Mrs. Anderson’s Button Shop. Mrs. Anderson, and her sister, two elderly women, had to be 300 years old! They’d be in there with their buttons and all that. There were a couple of real nice hardware stores. There was Home Supply and Bunker’s Hardware ... Bunker was at the opposite end of the center"